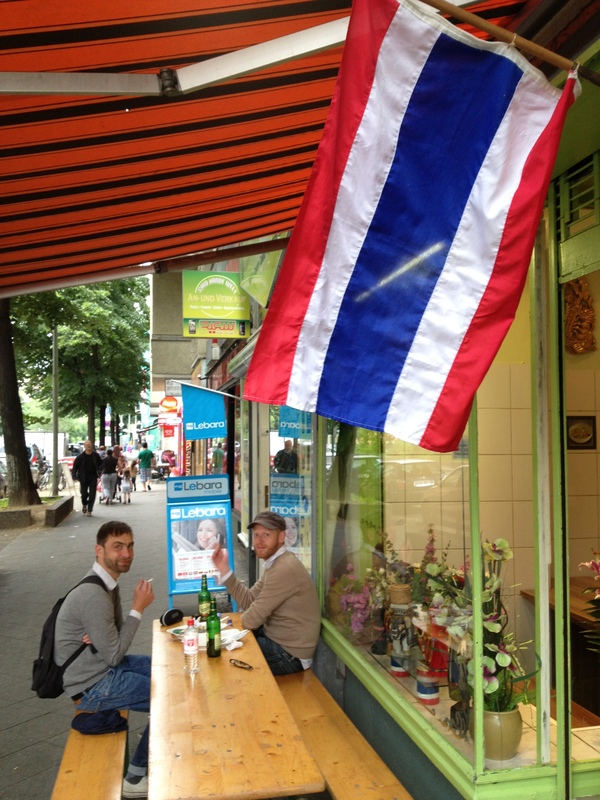 My friends Harald and Keith (pictured) took me to a small Thai Imbiss around the corner from their apartment yesterday called Mae Charoen. 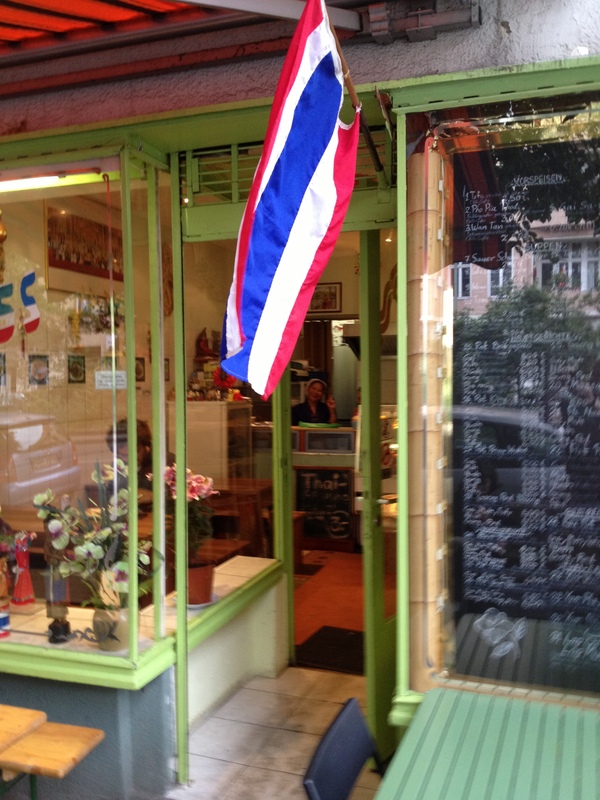 A small, cheery place run by two women from Chiang Mai (in the north of Thailand) who serve up a limited menu of truly authentic Thai food. 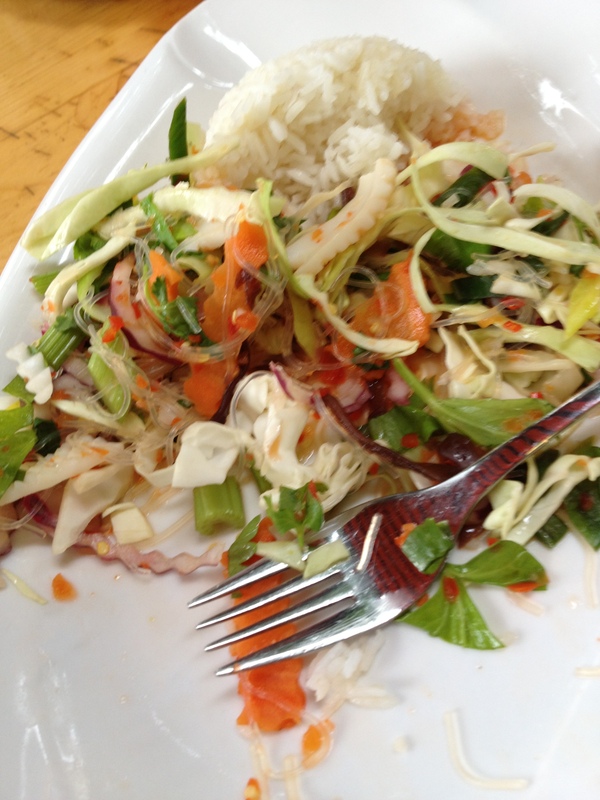 I had a squid salad served with rice, the salad had a generous portion of Thai chili in it and was served with a big scoop of rice. It was so delicious I wanted to go back that same night and have dinner. 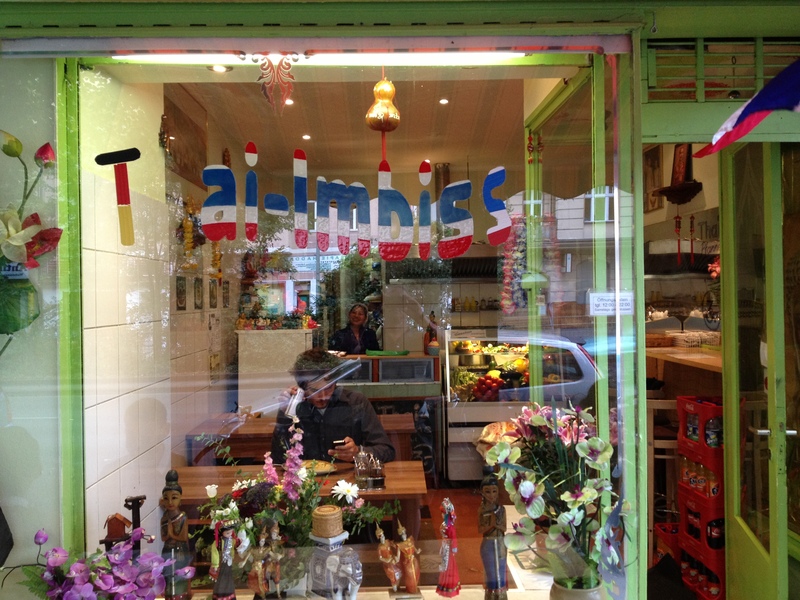 The smiling proprietor waving from the kitchen. 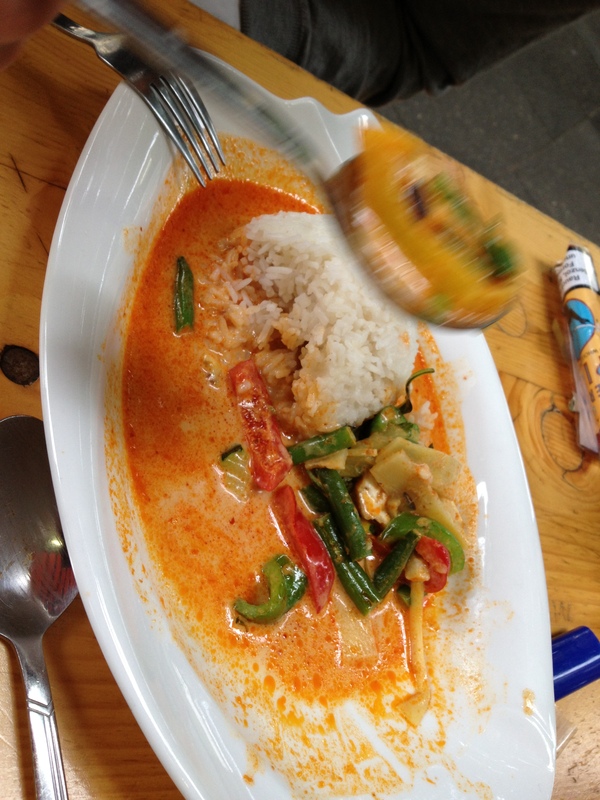 Above is the Red curry with tofu (lots of other options for the carnivores!) and the Squid Salad below served on a bed of shredded Cabbage – so damn good. 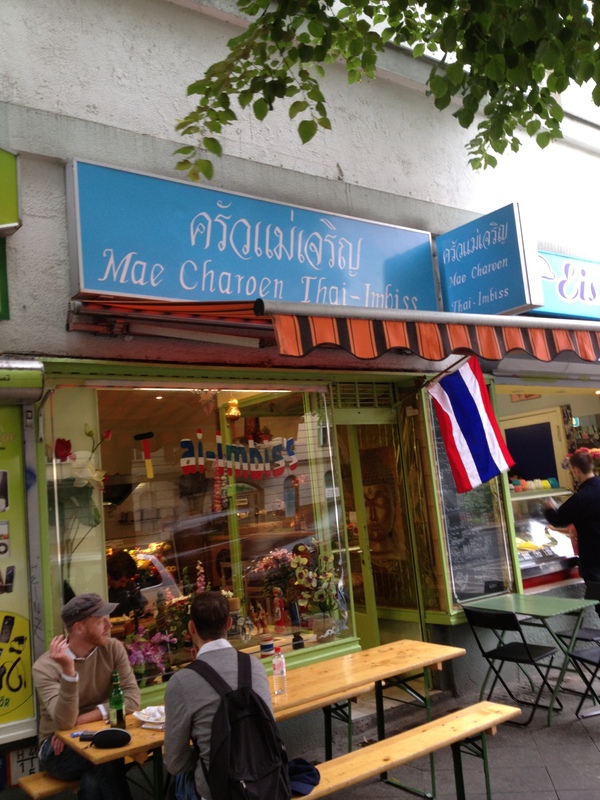 This entry was posted in Travel and tagged Berlin, Mae Charoen Thai-Imbiss Berlin, Thai Food. Bookmark the permalink. 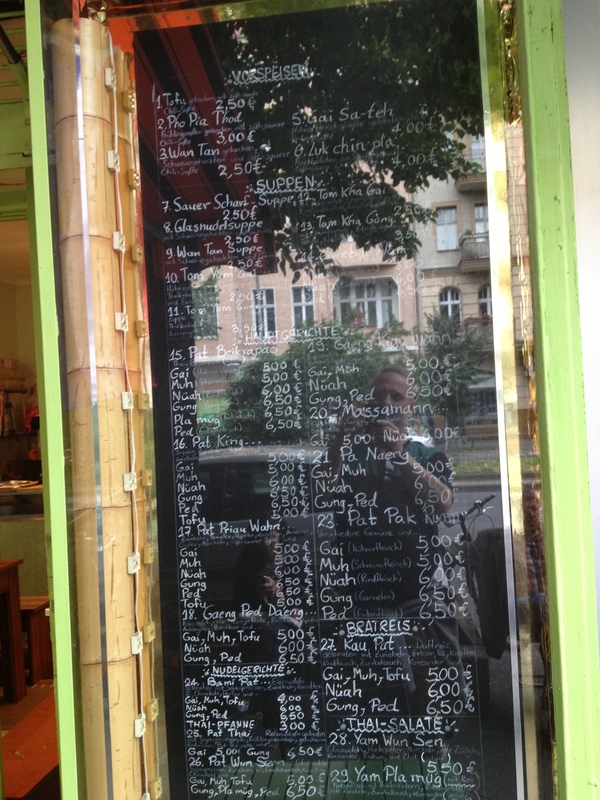 I really love that restaurant. I am almost once a week there. Its so fresh and cheap. For me its the best food in that area. Unfortunately it gets more and more crowded. So it got difficult go get a table. Especially when the sun is shinning.